This, the first of five concerts, will feature The Settlement, The Sugarbeats, Holly & the Guy with Emmy Davis, Josiah Whitley and Paula Davis Stewart. The free outdoor concert series is brought to you by the non profit Boneyfiddle Project and the Final Friday in Boneyfiddle Committee. 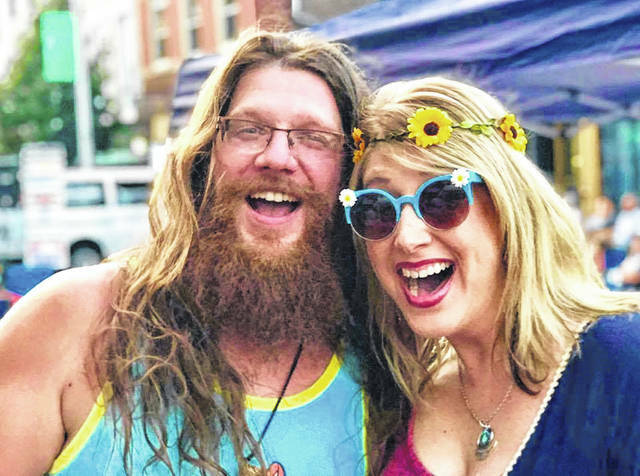 “ The public is encouraged to get their hippie on and enjoy an evening of peace and love” Project chairman Rob Black says. “It’s a family friendly event with vendors, food and good vibrations” added Black. The Boneyfiddle Project’s mission is to enhance economic development in the historic district and is considered a catalyst for positive movements like “Friends of Portsmouth”, Plant Portsmouth, Winterfest and the renaissance the historic district is experiencing. “We have five world class events planned this season featuring acts such as The Parachute Brigade, Poverty String Band, IIIrd Tyme Out, Sean Carney and the Joint Rockers, The Wrecking Crew to name a few” says Black. The Boneyfiddle Project has presented 23 concerts over the past four years employing over 350 entertainers and driving thousands of shoppers to local stores in Boneyfiddle. People are encouraged to bring a chair and enjoy these concerts which begin at 5:30 and run til around 10:00 pm. Go to Final Friday in Boneyfiddle on FB for updates. “Locations and themes change for these pop-up events from month to month so it’s important to follow us on our page for the latest news” says Black.